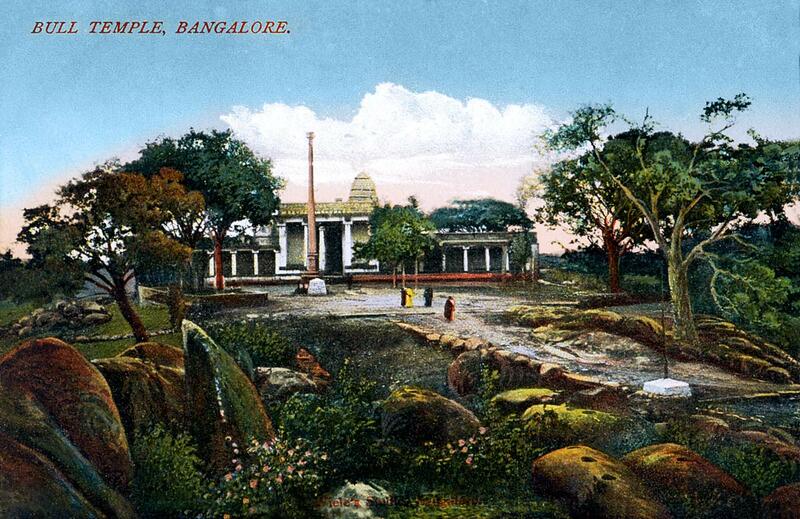 This 16th century temple to Nandi, the sacred bull, was built by Kempe Gowda who also founded the city of Bangalore. This slightly mysterious postcard, with a nicely darkened foreground and a respectful distance, was made by Wiele's Studio, better known as Wiele & Klein. Founded in 1882 by two Germans, their postcards go back to the turn of the century and like many of the best publishers, they also manufactured half-tone and line blocks for printing in addition to providing a whole range of photographic services. Nonetheless, like most postcards of India before World War I, this was printed in Germany.